Symptoms of performance deterioration would usually start to manifest as your mobile device aged. This means that no matter how powerful or smart your smartphone is for now, it can and will slow down over time. Just like what several users of popular flagship devices like the Apple iPhone 6s, which is purportedly showing indications of sluggish performance already. Among other most prevalent symptoms would include slow or sluggish performance, lags, freezes, and system crashes. You might be reading this post right now because you’re probably one of these users who are having similar concerns with the same handset and that you’re searching for some workarounds on how to speed it up. If so, then this content might be able to help you. Rather than jumping into a decision of procuring a new expensive device as replacement to your iPhone 6s, why not try to do something to rescue it first? Remember that this iPhone embeds the Apple A9 chipset with a dual-core CPU, six-core graphics GPU and 2GB of RAM. All these denote that what you got right now is indeed a powerful device. That being said, thinking of a buying a replacement device is not really a sensible decision. Unless of course, if your iPhone 6s has serious hardware damage, which could not be rectified by the usual hardware repair. What are the possible reasons as to why your iPhone 6s is becoming slow or sluggish? The iPhone 6s was officially made available in the market in September of 2015. Given that time, it is just but normal for worn-out symptoms to begin to show right now. For sure you have used your device several times a day in a regular basis. If you’re a type of user who loves to play games with your smartphone more often, or fond of downloading complex contents and applications, then you should expect your device to begin showing any of the pertinent symptoms of performance deterioration. But there are also other factors that can cause your iPhone 6s to perform very slow or sluggish aside from age. Some reported cases of slow performance issue on an iPhone were linked to an existing software issue, including the ones highlighted below. Memory problems. Underperformance can also be an indication of memory problem with your device. For example, your iPhone must already be running out of memory space that it’s no longer able to carry out downloads or file transfers the way it did before. When your device is low on memory, you would notice some slight differences or changes in its overall performance. For example, the usual app download that takes only a few seconds will now take more minutes to complete. Other input processes and requests like multitasking with apps may no longer be that quick to finish. In some cases, your device may not be able to carry out heavy tasks without experiencing lags, freezes, or random crashes. All these could denote an issue on your iPhone 6s memory that needs to be rectified so as to get your device back to its usual performance level. If you happen to have stored several multimedia files like MMS or other complex contents including photos, videos, and gaming applications into your device, then you might as well consider reducing them. You can move some of these files to other storage media available or just remove those that are no longer used or not needed. Keeping old complex contents can consume a large portion of your iPhone’s internal storage, which then could lead to piling up until such time when the memory is full. So you might as well do some memory clean up this time so as to free up some space of your iPhone 6s internal storage. Running of several heavy applications simultaneously. Although the iPhone 6s is built with multi-tasking capability, it can still underperform at certain point. Just like what happens when you use several applications simultaneously on your computer. At first it was okay but later on, it’s a different story. Remember that the iPhone 6s chip also has limits. Even some brand new devices can succumb into a similar issue with simultaneous running of complex apps. Eventually, the processor can become overloaded with processes and input requests for each of the running apps and so there is a higher chance for your device to become unable to complete a task in its usual speed. You can prevent this from happening though. As workaround, you can close any running application that are no longer needed or used. To close running apps on your iPhone 6s, tap the Home key twice and then slide an app upwards to end it. Do the same to all other apps that you want to quit or end. Once you are done closing apps, tap the Home key again to return to the Home screen. You should then perceive some improvements on the way your iPhone 6s perform or carries out input functions. Faulty applications or software bugs. Sometimes, your iPhone 6s may tend to perform very slowly because something has triggered it to do so. Software bugs or glitches can also be considered among the possible culprits for your iPhone’s sluggish performance. This is usually the case with many third-party apps or software tools out there. Installing any of these buggy apps on your iPhone can affect its overall performance. You will know if a faulty app is to blame on your iPhone 6s performing very slow, especially if the symptoms begin to show after a third-party app download or installation. Some of these apps may contain some erroneous scripts or program codes that are not compatible with the iPhone’s original system structure. But there are also some cases when a built-in app can become corrupted, goes rogue, and thereby, triggers your device to show similar symptoms of performance issue. If you suspect that a third-party app is causing your iPhone 6s to underperform, then you might as well consider removing that app. It will also help if you reboot your iPhone from time to time like when a new app installation is done. Majority, if not all minor software glitches are rectified by a simple reboot. Just turn your iPhone off for a few seconds and then turn it back on. That’s all it takes. In the case when your iPhone is showing other symptoms like a frozen display or not responding to touch, performing a hard reset or force restart can help. To do a force restart of hard reset on your iPhone 6s, press and hold the Power button and Home button at the same time, for at least 10 seconds until the Apple logo appears. Wait for your device to complete the reboot process and then see what happens after that. Incorrect iPhone settings configuration. Your iPhone can also become slower with incorrect settings implementation. Alterations and incorrect modifications to your iPhone settings can also cause the same issues to arise. In some cases, your device settings are corrupted after downloading updates. Some software updates contain scripts that automatically alter the original settings implementation on the device upon installation. As a result, your device starts to act weird or perform very slow or worst, not responding at all. Should this be the case, resetting all settings might be able to resolve the underlying cause and get your iPhone back to its normal performance. The process will restore your iPhone back to its factory default settings, thereby eliminating any erroneous settings implementation on the device. To do so, head over to Settings-> General-> Reset-> and then select the option to Reset All Settings. Wait for your device to complete the restore process and after restart to factory defaults. A significant improvement should then be noticed when it comes to your iPhone’s processing speed after the settings reset. Software is outdated. Your iPhone can also be in the same state where it became very slow, often lags, randomly crashes or reboots by itself because the device is running on an old or out-dated platform. Apparently in this case, your iPhone software requires an upgrade so as to get software enhancements and system optimization. Apple is rolling out software updates periodically, as its way of ensuring that all iOS devices do not stagnate. Aside from new features, some iOS updates also contain fixes to certain bugs, including the ones that is causing your device to show performance problems. All these are good enough reasons as to why keeping your iOS device software up-to-date is highly recommended. Buying a new iPhone won’t really be necessary unless your device is badly damaged and by all means could not be repaired. Highlighted below are a few helpful workarounds and tips that can help you speed up your iPhone 6s. It wouldn’t hurt to try them before you go for costly replacement unit procurement. Step 1. Reboot your iPhone regularly. As mentioned earlier, performing a soft reset or restart can help your device stay in its best state every time changes are made to any of its system settings. If you’ve done that already and nothing has changed on the way your iPhone performs, then you may try other options. Step 2. Manage internal storage. Memory management is essential to keep your device at its good performance. Considering that memory problems are among the culprits to a slower iPhone, checking the phone’s current memory status would be your next best move to try on. You may need to free up some space so as to keep your device back to its good performance state. To do so, head over to Settings-> General-> Storage & iCloud Usage-> Manage Storage. On the next screen you should see more details at to which apps or processes are taking up the most of your iPhone’s internal storage space. View the details and try to assess if everything is doing normal. Should you see any unusual signs like certain apps are using up a significant portion of your iPhone memory you should then diagnose these apps and do what’s necessary. One way to free up some of your phone’s internal storage space is to clear loads of cached data on certain apps. This can be done by deleting the apps like Twitter or Spotify, and then re-installing them. Clear browser cache, history and data. Accumulated data or cached files can also cause your device to slow down. Just like what happens to a browser app. Every time you do open something with the browser like opening pages, visiting sites, and viewing online contents means additional cached files stored in your app’s memory. So the more cached files there is, the higher the chances of the browser app to become slow over time. And when this happens, you might think that the iPhone is underperforming but actually it’s the browser that’s having an issue. Some cases of an iPhone that is underperforming were isolated to the Safari browser which is likely to have accumulated loads of caches, history and data. And this can be rectified by clearing the browser’s caches. To clear browser cache on your iPhone 6s, open the browser app you’re using like Safari. To do so, go to Settings-> Safari (or any other browser application). Once you get to the Safari main screen, look for the options to Clear History and Clear Cookies and Data. These options are usually located within an app’s Settings menu but there might be some variations with the menu options depending on the type of application and version you are using on the option. Delete old MMS or complex files that are no longer needed. Keeping old complex files like MMS or apps also used up more space of your iPhone’s internal storage. To avoid having any problems when adding new apps or contents, make sure your device has sufficient memory available to allocate them all. Deleting all unnecessary contents or moving important files to other storage media is highly recommended. You can search for old multimedia messages including old threads from the Messages app directory or relevant folders. Look for the messages or threads then swipe right to select the thread or message to delete. Tap Delete to confirm action. You can also set your iPhone to delete messages that are considered old including MMS. To do so, go to Settings-> Messages-> scroll down and then change the expiry of the messages from Never to After 2 minutes or as you prefer. Using this message settings configuration will automatically delete all video and voice messages after the specified time duration. If you haven’t done any iOS upgrade yet, then you might as well consider doing so. To get started, head over to your iPhone Settings-> General-> About. Once you get there, check to see if there are any update available for your device. If there is, then go for an upgrade. But before you proceed, be sure to back up your device contents to iCloud or iTunes. After creating the backup, follow these steps to upgrade your iPhone 6s iOS via iTunes. Note: You will need a computer with the latest version of iTunes software installed, in order to proceed to these steps. Open iTunes on your computer (Windows or Mac). Wait for iTunes to recognize your device. On the iTunes home screen, locate and click to select your iPhone 6s from the list of available devices. It’s usually found in the upper-left side of the iTunes home screen. Navigate to the Summary section or Settings section in iTunes to check for the current software version of your iPhone. Click the Check for Update button to view available updates. If an update is available, just follow the onscreen prompts to proceed with iOS update download and installation. If necessary, reboot your iPhone once the iOS update installation is complete. Step 4. Use alternative solutions or online software. There are a lot of alternative solutions offered online that will help speed up your iOS device including iPhone 6s. If you wish to give any of them a try, then head over to the App Store and find your pick. You may opt for a purchase or use a free version of these apps instead. Just be sure to read the descriptions and users’ reviews prior to downloading so as to determine whether that app is a good choice or not. 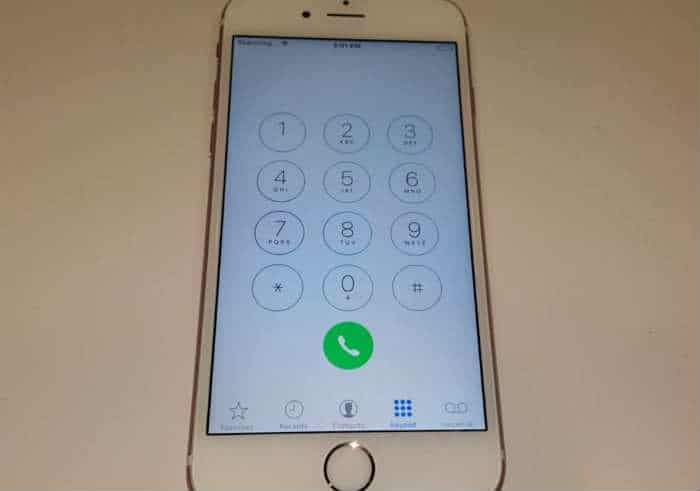 If none of these workarounds is able to help speed up your iPhone 6s, then at this point, you should contact your device carrier or Apple Support to escalate the issue and seek further assistance and recommendations. It’s possible that a more serious issue is causing your iPhone to perform very slow, lags, crashes, or unresponsive. Alternatively, you can just take your device to an authorized service center for hardware check-up and/or repair.